Alright so moving onto this review, since that's why you're here...I'm hoping! 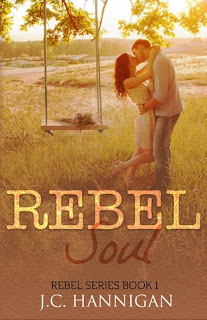 :) This book had everything you wanted in a small town country inspired novel! It had me wanting to go to the nearest place to find my own Brock! I found it incredibly fast paced, and never left room for lulls. First I seriously want to say how amazing it is that this entire novel is set in my home of Ontario Canada. Of course there are little bits of talk from Alberta, but overall having it set in Canada was amazing! Brock has his own demons, but when you uncover what the beginning line was that started the rumor mill and basic hatred from others, you really see a side of him that you almost start to break apart for. You also see who he is when he is around his family. He is definitely an uncle you'd be attracted to, and the amount he does for his siblings is just incredible! So you all know that it is seriously hard for me to cry. Like in movies, reading, anything! When I read a specific scene fully, I literally cried. Maybe not bawling my eyes out (because I don't do that) but I actually cried. It felt so close to home and so real, that I felt the pain entirely. I swear a piece of me crumbled after reading certain parts. "Your opinion is worth more than every other person in this town put together. If you think I'm worthwhile, that's all I need." Of course from beginning to end there's an instant connection, although it wasn't Instant-love, which was amazing! You could see the push and pull, and trying so hard to obey orders, but let's be honest here. Why is Forbidden Love so dang attractive?!! The amount of love and protection they have for one another is so evident, that I felt it throughout the novel. In the middle of a lot of pain there was love. Moving on from that, you really see Tessa (mostly) grow as a person, and let me tell you when she finally stood up for herself I was so excited, and totally was cheering her on! The comments she fired back at everyone who told her not to do something, was incredible! "We might work, we might not, but that's for me to find out and you can't shelter me from that." "You don't get to assume a girl's body is yours just because she looked in your direction...No means no--"
"They didn't know who we were together. They didn't know how he made me feel: safe, cherished, desired, protected and yet equal." Overall this was a great novel! I seriously loved reading about Tessa and Brock, and although I know they will make an appearance in the next book, I seriously would love to read more about them!! Especially after that ending!! SO GOOD! It so fast paced, with a roller coaster ride of emotions and feels. There were plenty of FEELS! I honestly could not stop reading, and when I had to, I wish I was reading more. I felt like part of me was actually within the book, and I really could connect with some of the characters. I really loved how much love and protection that also showed honor throughout! So that's all for my review, I hope you liked it, and I totally recommend reading this! !